Heat nonstick griddle or skillet over medium-high heat or electric griddle to 350°F. 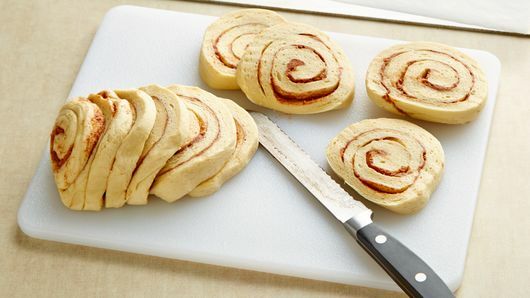 With dough still rolled up, use serrated sharp knife to cut roll into 10 slices. Working with half the dough at a time, keep remaining dough refrigerated. 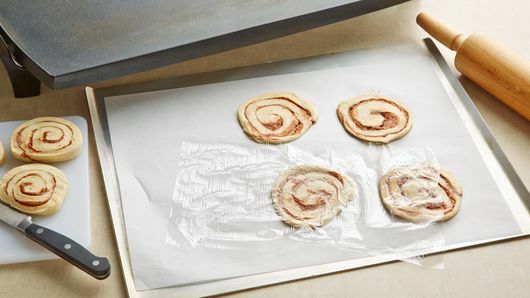 Place 3 rolls on cookie sheet without sides (for easy cleanup). Cover with parchment or plastic wrap. Roll with rolling pin, or press to 4-inch round using hands. Repeat with remaining rolls. Using spatula, carefully remove rolls from cookie sheet, and place on griddle. Cook 1 to 2 minutes on each side or until golden brown and no longer doughy in center. In small chilled bowl, beat whipping cream with electric mixer on high speed until slightly thickened; add icing (from can of rolls) and pumpkin pie spice. Continue beating until stiff peaks form. 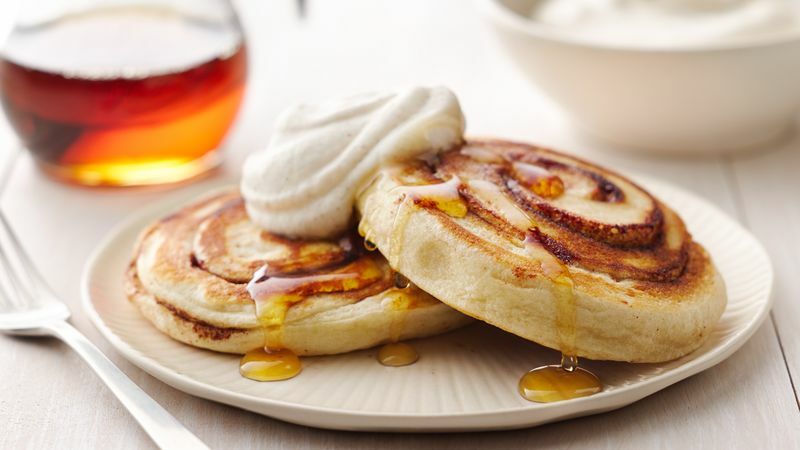 Serve pancakes with a dollop of whipped cream mixture. To make a quick whipped topping for pancakes, use 1 1/4 cups frozen whipped topping, thawed. Stir in icing and 1/2 teaspoon pumpkin pie spice. For easy dough handling, keep it well chilled. 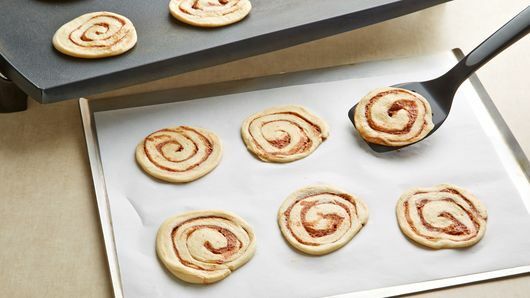 You can use a small amount of flour on the rolls when rolling out to make the dough less sticky.